Are you looking to transform your mind and body in 12 weeks? Is body transformation something that interests you? Do you see those Instagram before and after photos and wish that could be you? Are you looking for a life-changing experience? If you answered yes to these questions, let me introduce you to Kelin Law. Kelin is someone who brings back lots of childhood memories for me. Kelin and her family were neighbours of my maternal grandparents and after my grandfather died they kept a close eye on my grandmother for many years. In fact, our grandmothers became the best of friends and were a bubbly little duo, enjoying trips out and short breaks together. The kindness and compassion Kelin and her family showed all those years ago, means they will always hold a special place in my heart. I’ve followed Kelin’s journey for several years. You might describe Kelin as a mind & body coach with a scientific twist. She began as a research scientist and, as an invited member of the Royal Society of Biology, she holds a first-class biological honours degree. She is also a certified practitioner of NLP (psychotherapy), and a qualified level 3 personal trainer. Her focus on neuroscience and the mind are crucial to her success in helping athletes in competition, and with others in body transformation and nutritional freedom. She underwent her own mind & body transformation that saw her span 6 different dress sizes as she battled with losing her mum, breaking her back, fighting with eating disorders and wrestling with PCOS. 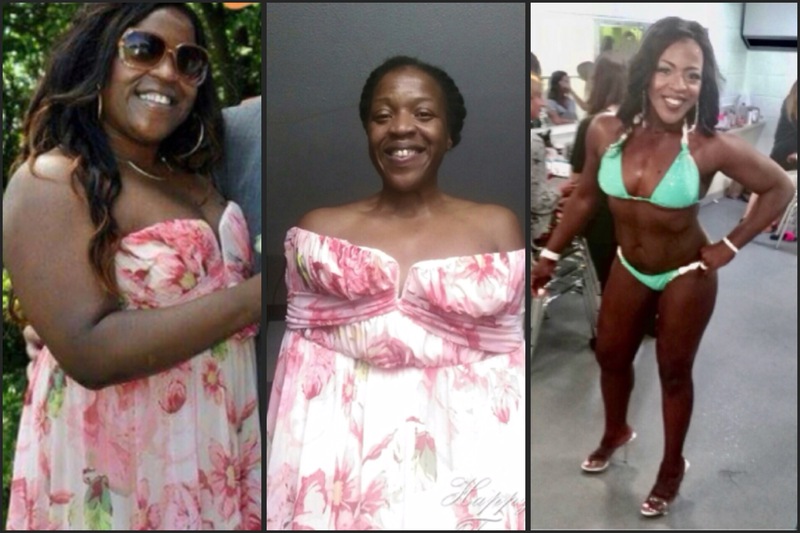 Over the course of her journey she tried every diet and training program under the sun, until she eventually found the answer in mastering her mind. By combining her strengths in science & psychology with her life-lessons and passion for fitness, she discovered the key to helping others achieve extraordinary results. Are you ready for the transformation of your life? Kelin has a very special programme available at the moment. This is for all ladies of all sizes shapes and ages, wanting to finally achieve their dream body AND celebrate it with a professional photo shoot! 📷 💥❤ In fact, you also have the option to strut your stuff on stage at an amazing London fitness show called Fitness Model Comps ⭐💕💪. Sound exciting or even a little terrifying? On this program you will be leaving your past behind you to uncover a new you through an expert mindset development program and a tailored nutrition and training plan 🧠🍒🏋️‍♀️. This is a team program on which you will be joining a group of like-minded females all striving for the same goal of becoming the best version of themselves. For some, that might be wanting to loose weight and tone up, whilst for others, it might mean gaining weight and building more shape⌛. It honestly doesn’t matter how fit your are or how many years young you are 😉. As a team sharing a dream, everyone will achieve their goals! Together we are stronger 🏆. It’s perfect to sign-up as an individual or with a group of your friends or colleagues 💫. There are limited spaces so sign up before the 4th April ✍ The program begins on the 16th April and the photoshoots will be 6th/7th July and the show on the 8th July 😬😍 . It is £395 for an individual or £350 for a group booking (4 or more of you). For that you will get your dream body, develop your best mindset and have a fabulous photo shoot and bikini show experience! 💕👙. Get in touch with Kelin to start your transformation journey.